Planning a trip to the Gold Coast and unsure of how to spend your time in the popular holiday destination? Home to everything from world class attractions through to an abundance of natural beauty, there’s certainly no shortage of things to see in do. Check out our top 10 things to do on the Gold Coast and start planning your own Gold Coast escape! Whether you’re looking for thrilling rides, family friendly experiences or unforgettable animal encounters, the Gold Coast’s theme parks offer something to suit almost every age group and interest. Discover the incredible sea creatures that call Sea World Gold Coast home, enjoy interactions with your favourite film and television characters at Warner Bros. Movie World, test out the rides at Dreamworld or cool off at Wet ‘n’ Wild Gold Coast and WhiteWater World. Arguably one of the region’s best assets, no trip to the Gold Coast would be complete without paying a visit to at least one of its fantastic beaches. From Burleigh Heads Beach through to Surfers Paradise Beach and Coolangatta Beach, there’s no shortage of great spots to swim, surf or simply laze in the sun. Make the most of an east coast sunrise with a morning stroll along the sand, settle in for a picnic lunch beneath the warm Queensland sun or simply find a spot to sit and watch the waves roll in. One of the Gold Coast’s sandy beaches. Home to a wide variety of restaurants and cafes, there are plenty of great eateries perfect for settling into a hearty breakfast, a value-for-money lunch or evening meal on the Gold Coast. Please your palate with delicate Japanese fare, sink your teeth into rich French cuisine or sample one of the many other international dishes included on the region’s menus. From dinner with the whole family through to brunch with friends, there are more than enough opportunities to truly tantalise your tastebuds. One of Queensland’s earliest established nature-based tourist destinations, Currumbin Wildlife Sanctuary is a great place to encounter a wide variety of native Australian wildlife. Home to species spanning from koalas and kangaroos through to emus, echidnas and native birds, there’s plenty to see and do across the park. See vets working at the Currumbin Wildlife Hospital, join a Segway safari through the grounds or cuddle up with a koala for the perfect photo opportunity. Tasmanian Devil at Currumbin Wildlife Sanctuary. 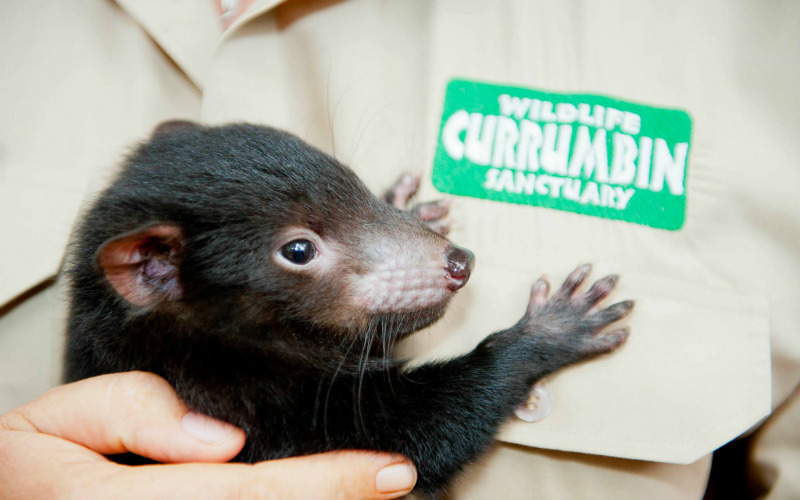 Image Credit: National Trust Currumbin Wildlife Sanctuary. Taking out the title of Australia’s only beachside observation deck, SkyPoint Observation Deck is the perfect place to soak up uninterrupted views of the Gold Coast’s beaches, lush hinterland and beyond. Standing at 230 metres above sea level on levels 77 and 78 of the Q1 Building, a visit to the observation deck is a worth addition to any itinerary. Although many of the region’s attractions may be found on dry land, there’s certainly more to the Gold Coast’s natural beauty than first meets the eye. 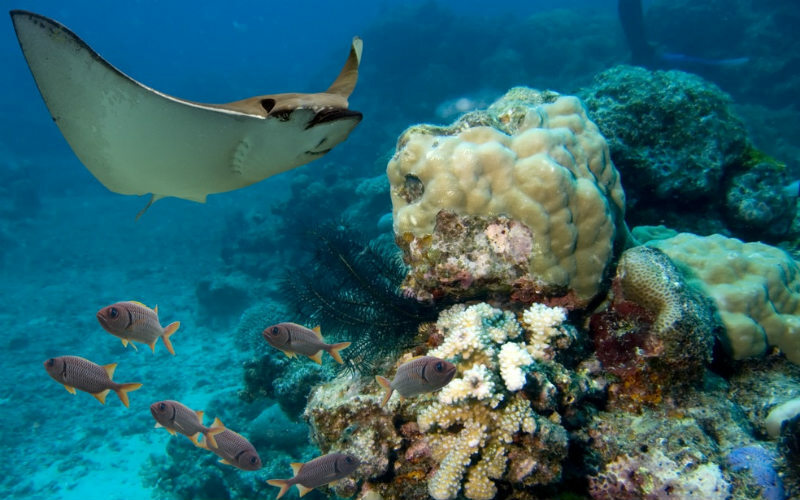 Snorkeling spots hidden below the surface offer a window into sea life, with brightly corals, anemones and all manner of reef fish calling the Gold Coast’s waters home. 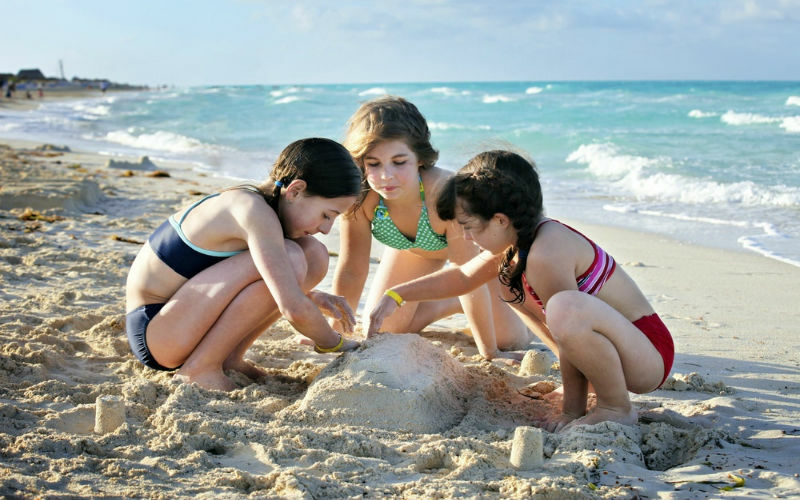 Hire equipment and explore diving spots, such as Palm Beach Reef, at your own pace or join a guided tour and uncover some of the region’s best snorkeling spots under the guidance of a local in the know. A snorkeling site set off the Gold Coast. Regardless of if you’re on the hunt for high end wear, the latest high street fashions or garments created by up and coming designers, the Gold Coast’s shopping precincts offer it all. Shop all your favourite Australian and international brands at Pacific Fair Shopping Centre and Robina Town Centre, or grab a bargain on big name brands while outlet shopping at Harbour Town. Whether you have a small budget or looking to splurge, you’ll find plenty of ways to shop ‘til you drop on the Gold Coast. Located just 10 minutes from Surfers Paradise, the Gold Coast Regional Botanical Gardens offers the perfect excuse to head outdoors, get in touch with nature and discover fine examples of the unique plant life found locally, across Australia and in countries around the world. Covering 31 hectares, the gardens feature a children’s playground, plenty of spots to settle in for a picnic and a number of beautiful themed areas. The Gold Coast Regional Botanic Gardens. 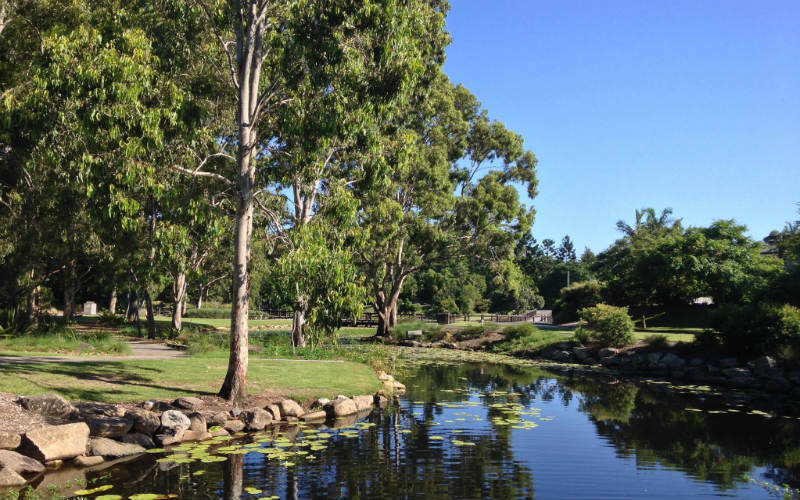 Image Credit: Friends of the Gold Coast Regional Botanic Gardens. Beyond spending time on Gold Coast’s iconic beaches, there are plenty of other opportunities to connect with nature across the region. Wander through lush rainforest and feast your eyes on some of the country’s oldest trees in the Springbrook National, or head to the Burleigh Head National Park to soak up great sea views, set out on a coastal hike and spot migrating whales during winter and spring. Whether you’re looking to spend time on the coast or in the Gold Coast hinterland, you’re sure to be spoiled for choice when it comes to the area’s natural beauty. Stocking everything from fresh fruit and vegetables through to handmade crafts, souvenirs and locally designed garments, the Gold Coast’s markets offer the perfect opportunity to shop up a storm. 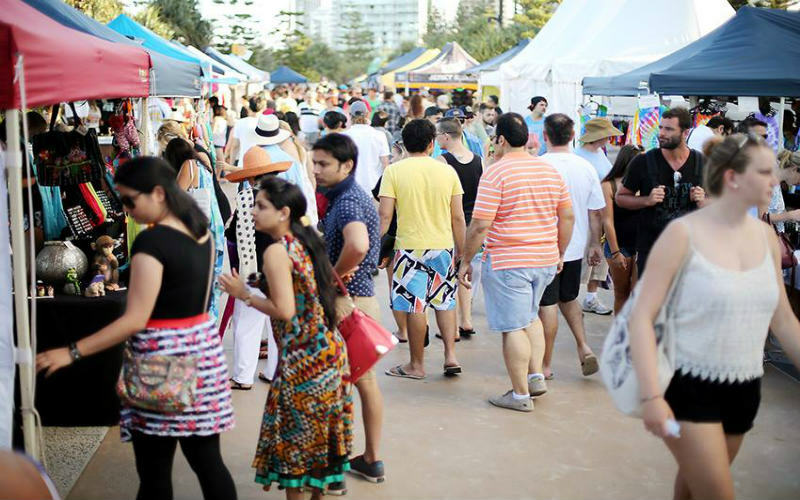 Held weekly, fortnightly or monthly, there plenty of great markets to choose from, including the Village Markets at Burleigh Heads, Carrara Markets, Surfers Paradise Beachfront Markets, Coolangatta Art and Crafts Markets and Broadbeach Art and Craft Markets. Surfers Paradise Beachfront Markets. Image Credit: Surfers Paradise Beachfront Markets. Planning a trip to the Gold Coast? Discover cheap flights, hotel rooms and holiday packages with Webjet.